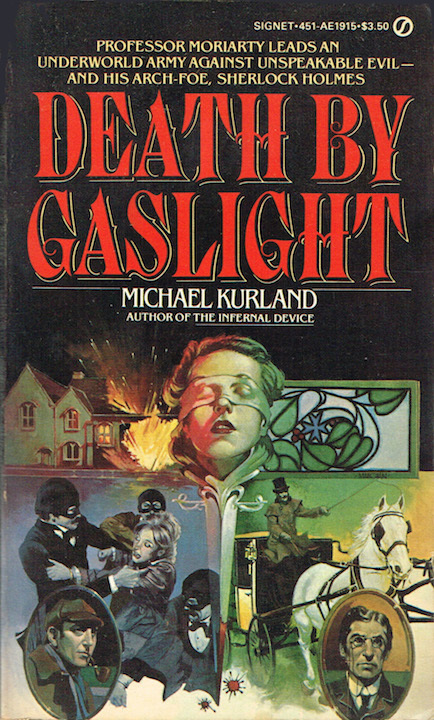 Michael Kurland's second Professor Moriarty novel. Once again the paperback sports nice cover art with a Rathbone inspired Holmes. A killer who made Jack the Ripper seem gentle was slitting the throats of the cream of England's aristocracy. Naturally Scotland Yard launched total war against this monster, enlisting the great Sherlock Holmes himself.